Another hectic weekend done. This time I was at a wedding and a baby shower and a birthday dinner to top it off! Next weekend should be more quiet (I hope). I've been planning a major overhaul of our place, so I'm thinking next weekend might be a good time to get it done. We'll see though, things tend to come up unexpectedly. All my mail came from Finland this week. 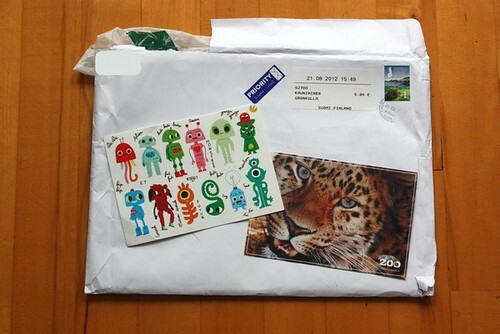 A post card from the zoo, another one with monster stickers and a parcel. These are mainly orders. 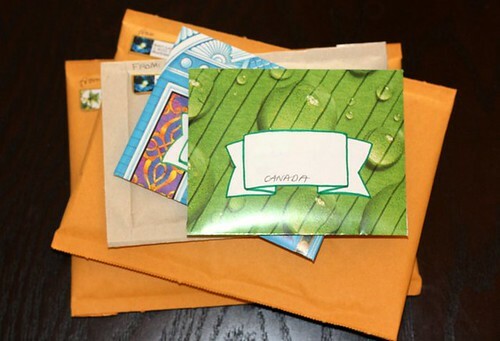 It was a good week for my shops, so I sent out quite a bit of mail.